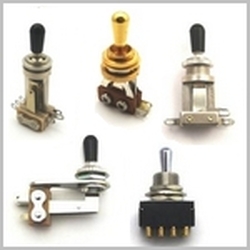 Replace or upgrade your guitars pickup selector and other switches with the highest quality switches available from Switchcraft, CRL, Fender, Oak Grigsby Gotoh, Philmore and other top brands. 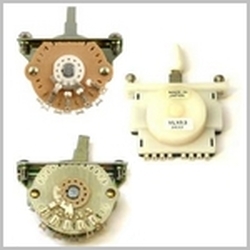 Lever/blade style switches, toggle switches, mini switches, rotary switches, slide switches and other styles. 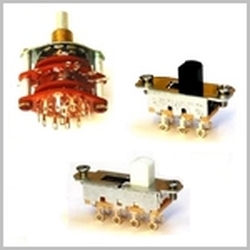 For pickup selector and mini switch technical data, visit our Pickup Selector & Mini Switch Connections page to view drawings with the internal switch connections of each switch position. 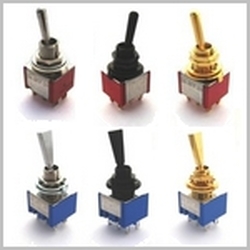 And if you are upgrading or replacing your pickup selector switch with a different type or style, check out the Pickup Switch Terminal Cross Reference page to view the corresponding terminals of the most common pickup selectors and switches.